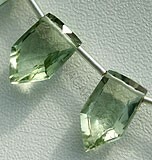 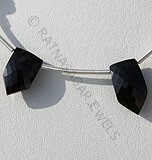 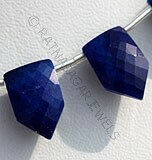 We know the importance of shape in gemstone. 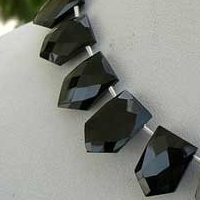 It is the reason our in house designers are constantly working to come with innovative shape and design. 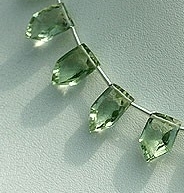 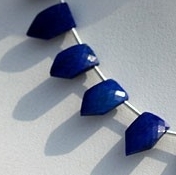 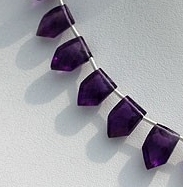 A step in the direction is a shape that no one could have imagined for a gemstone beads – the Pentagon Shape. 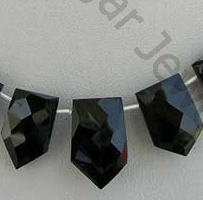 Ratna Sagar Jewels are extremely happy to introduce to you pentagon shaped gemstone beads, a marvelous symbol of master craftsmanship of our jewellery designers and artisans. 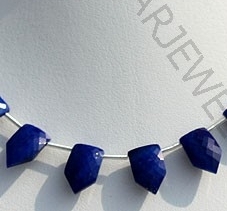 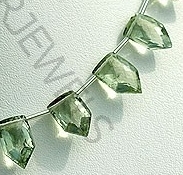 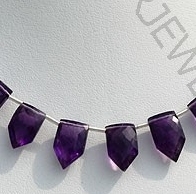 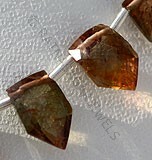 Browse through our wide range of pentagon shaped gemstone beads and purchase the one you love. 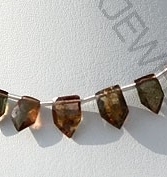 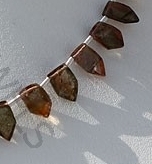 Natural Andalusite Gemstone is variety of fascinating colors, possess property of transparent with vitreous luster and are available in red-brown to olive-green color with micro cut, Pentagon Shape. 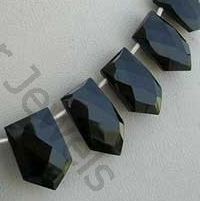 Natural Black spinel Gemstone Beads possesses property of opaque and vitreous luster is available in zed-black Color with micro cut, Pentagon Shape. 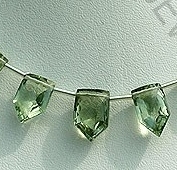 Green Amethyst Gemstone is a variety of mineral quartz, which is heated to enhance color, possess property of transparent with vitreous luster and are available in green color with micro cut, Pentagon Shape. 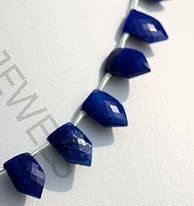 Natural Lapis Lazuli Gemstone possess property of opaque and are available in deep blue Color with sparkling specks of pyrite in micro cut, Pentagon Shape. 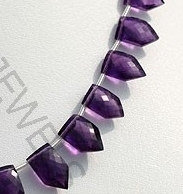 Amethyst Gemstone is a variety of the natural mineral quartz, possess property of transparent with vitreous luster and are available in deep purple color with micro cut, Pentagon Shape.